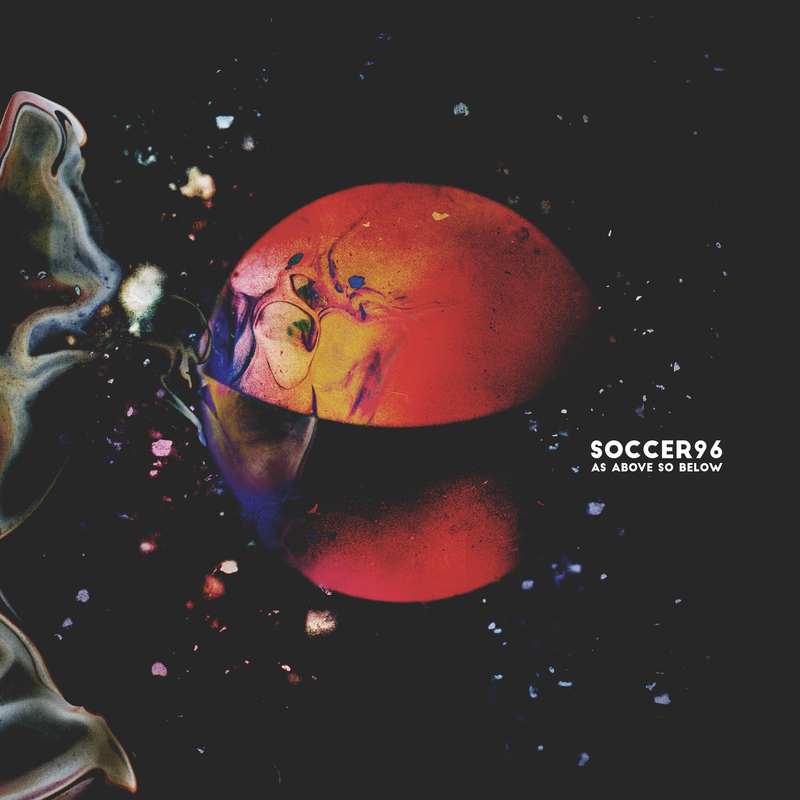 'As Above So Below' is the brilliant new album by Soccer96, the synth and drums duo of Danalogue [Dan Leavers] and Betamax [Max Hallett] who transmit epic synth-scapes over poly-rhythmic drums and infectious dance grooves in a brutal cocktail of tight electronica and the spontaneous energy of improvisation. 'As Above So Below' is their second album and is the result of ongoing experiments in various studios over a four-year period including the Total Refreshment Centre in Dalston [with Capitol K] and at Slowfoot label boss Frank Byng's Snorkel Studios in Forest Hill [Byng also contributes percussion to one track]. Recorded using old-school analogue methods, their intention was, partly inspired by Eno's philosophy of 'using the studio as an instrument', to allow the processing of sound to become part of the compositional process whilst embracing Miles Davis' idea of tracks being 'in a state of becoming', a captured moment in time - in their words… "…to allow ourselves to make music as a game, a beautiful, nonsensical voyage into serendipity." The album title is taken from an ancient hermetic phrase, meaning "That which is above is the same as that which is below"… macrocosm is the same as microcosm and vice versa and only by understanding one can one understand the other. Whilst loosely exploring ideas related to the title, album is rooted in the timeless human endeavor to reach out beyond everyday existence, in search of dream states and altered states of consciousness…“Our aim was to monitor the effects on the conscious mind when accelerating musical elements at great velocities into high energy collisions. We took specific genre plasm and begun to create sonic compounds with completely alien properties. Avant-garde, hip hop, electronic, pop, prog, jazz and psychedelic particles have been mixed together at an atomic level."